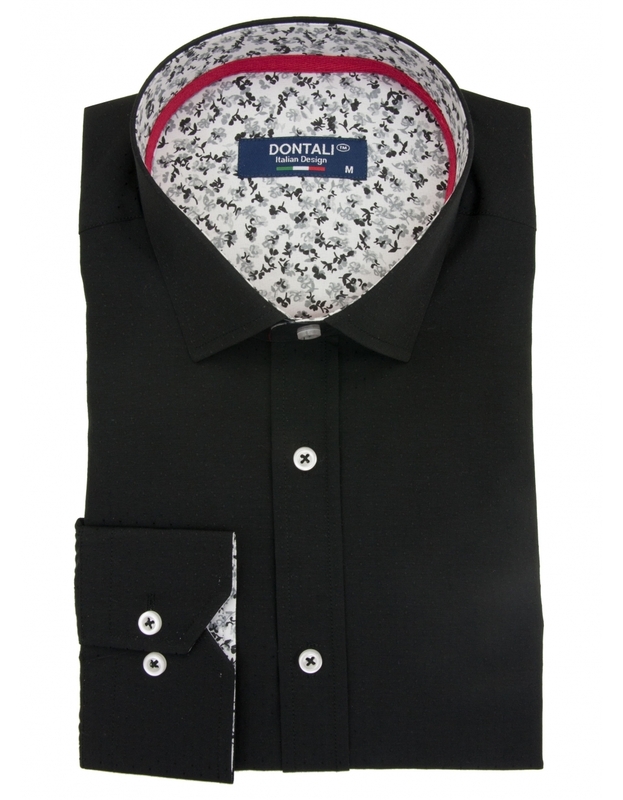 If you’re searching for a new shirt but can never seem to find the right style or fit for your frame, we have you sorted. No matter what shape you are, there’s a shirt out there — whether you’re after a casual shirt that you can wear for everyday and nights out or you need a sophisticated formal shirt for an upcoming special event. Our guide on men’s shirts and different body types will tell you exactly what you need to wear to look sharp and feel confident at any occasion. Shoulder: your shoulder seam needs to sit at the corner of your shoulder bone (not nearer to your neck and not hanging over the top of your arm). Collar: ideally, you should be able to fit two fingers between your collar and your neck when fully buttoned. Arms/sleeves: not too tight or loose with no restricted movements. Torso: if you gently pull at the fabric in the middle of your abdomen, you shouldn’t get more than 4 inches of excess material for a perfect waist fit. Another sign of a too-tight shirt is if the buttons strain open when you sit down. Cuffs: your sleeve should end where your wrist joins the palm of your hand. Men with heavier builds might struggle to find a shirt that fits their shoulders and waist. Whether you’re browsing for casual or formal shirts, don’t go for slim- or skinny- fits that taper in at the waist. These shirts accentuate bulk in the abdominal area and can strain across your stomach, which creates an irregular form and feels uncomfortable. But that doesn’t mean you should go for bulky designs that are too big, as this loose-fit effect only emphasises your build. 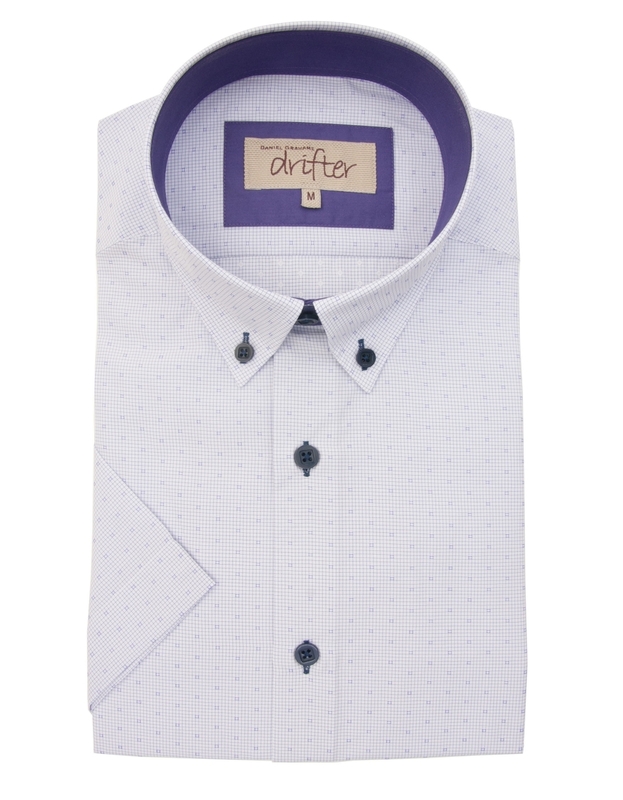 If you want to cut a slimmer shape, we recommend regular-fit or Oxford shirts. This type of men’s shirt is a classic in male fashion and it’s made from a thicker kind of fabric that won’t feel clingy. 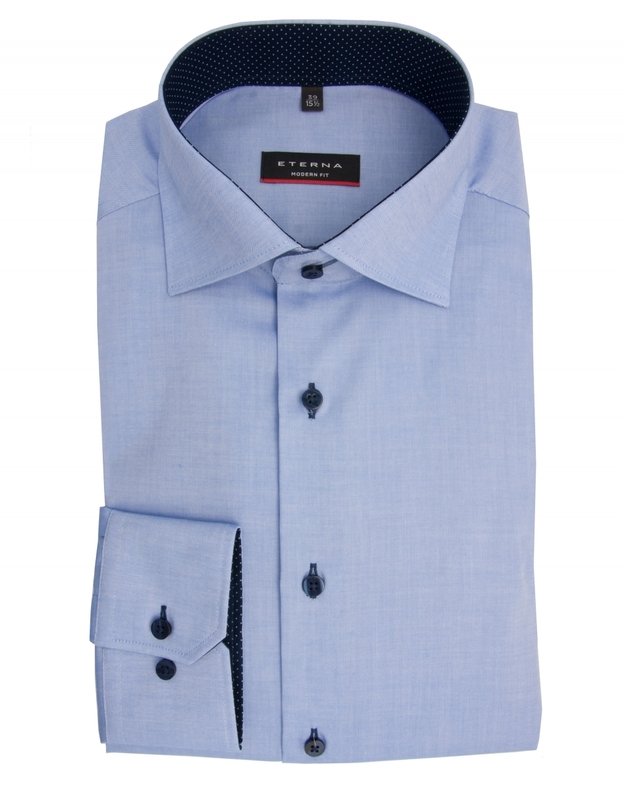 These Eterna shirts are a good choice for larger men. The best thing about a regular-fit shirt for a bigger bloke is their ’skimming’ effect. 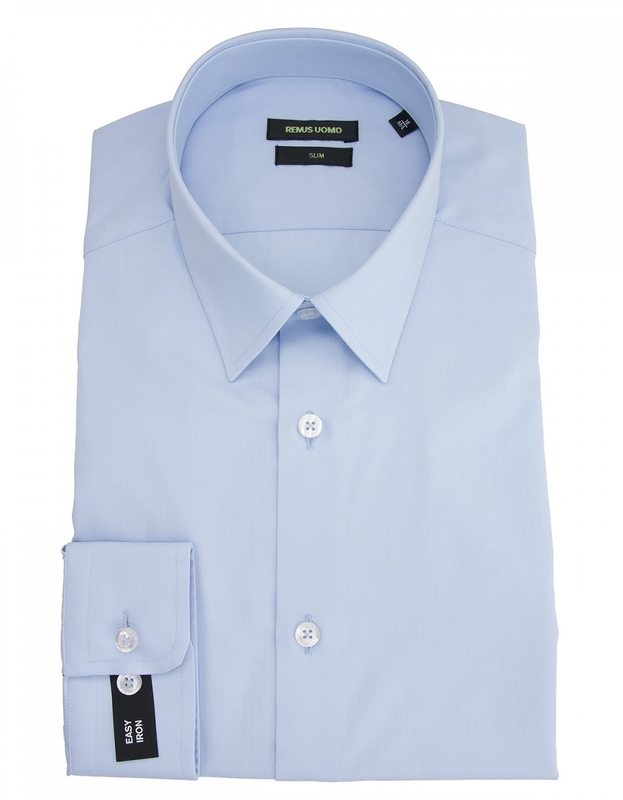 Men’s shirts that skim neatly across the chest and stomach provide a snug but comfy feel and help to streamline your body shape, which is very flattering on bigger builds. As for patterns, the simpler the better. For us, solid colours work best and making sure you opt for lightweight materials helps to reduce the bulk of your shirt and therefore help slim your frame. Slacks or casual trousers (not denim) for a clean, dressed-up front. Long overcoats are good to create a defined, but not clingy, frame. Avoid sweatshirts that are bulky and baggy, as you want to create a defined shape. Guys who are lucky enough to have the typical athletic frame (i.e. defined muscles, broad shoulders and a narrow waist) might as well make the most of it. We recommend going for any clothing that emphasises your sporty physique, so fitted dress shirts and slim-fit/European-fit shirts are for you. 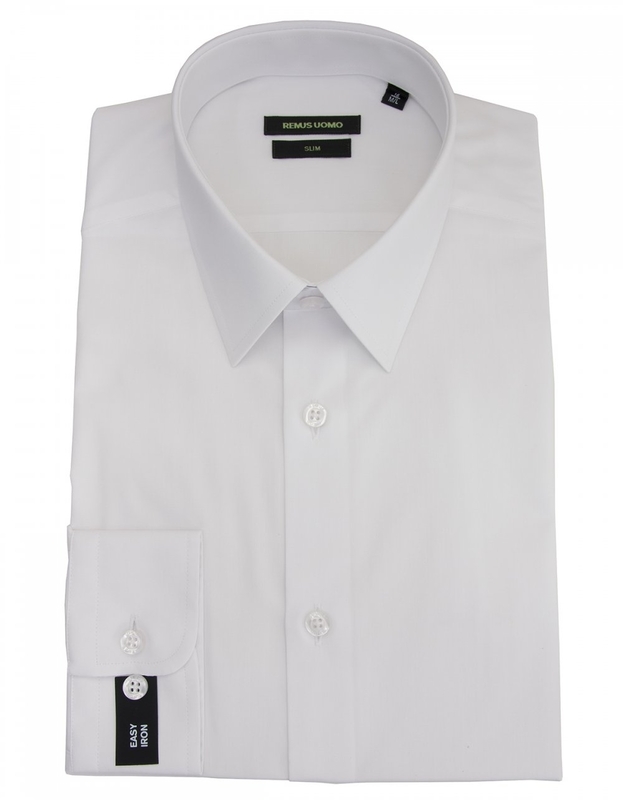 Slim- or European- fit men’s shirt taper in at the waistline but fit nicely around your chest. Tailored and elegant, slim-fit shirts make excellent formalwear and are good for men who want to highlight their narrow waist and broad shoulders for a sleek, streamlined look. 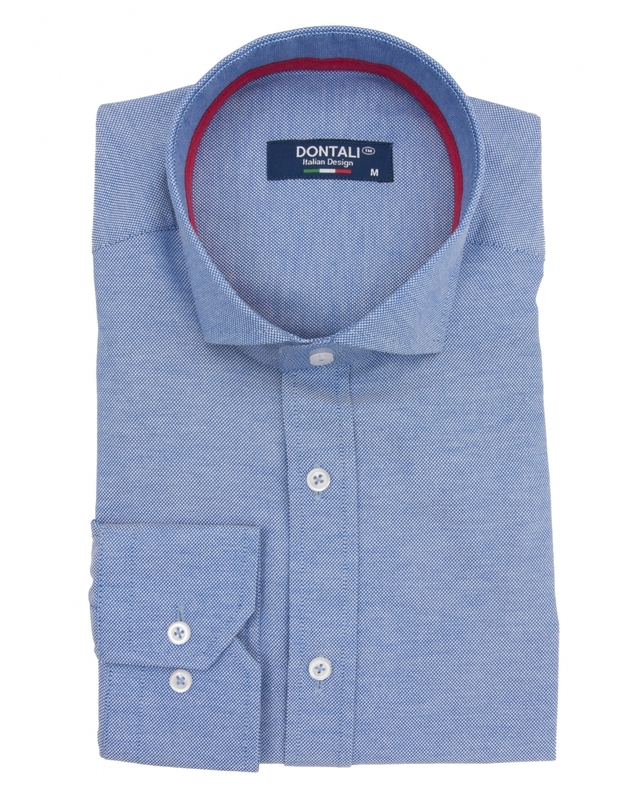 Athletic builds wearing slim-fit shirts can get away with almost any colour and motif. Make a statement with bold patterns and contrasting shades or go subtle with a plain block colour, like these Remus Uomo shirts. The main thing you have to consider when trying on slim-fit casual or formal shirts is whether the material covering your chest, shoulders and upper back is puckered or wrinkled at all. If it is, and you also can’t fit two fingers between your collar and neck, then your shirt is too small. Jackets without shoulder padding for the masculine shape without unnecessary added shoulder width. Relaxed-fit or tapered-fit trousers that give your leg definition but don’t cling unattractively to muscular thighs (as skinny-fit trousers and jeans would). The weird thing about super-slim or skinny-fit clothing is that skinny men should steer well clear of them. Wearing extremely tight shirts will only exaggerate your lean arms and narrow frame, and we assume you’re looking to add some bulk. The first rule for choosing men’s shirts for skinny guys is to opt for the styles that follow your frame: not clinging to your skin but not billowing all over either. If you’ve tried on loads of formal and casual shirts in the past that leave you with a shapeless physique, swap regular-fit shirts for slim-fit shirts. The more these taper in at your waist, the better; as this gradual narrowing will eliminate the loose/baggy look that looks unkempt when you’re dressing up in something like a Masonic shirt and matching suit. Go for tweed, flannel or corduroy materials — as these thicker fabrics will add mass — and avoid clingy or stretchy options. Another useful tactic for making the most of your slender frame: choose light colours. Whites, pale blues and soft pinks help to show off any muscle definition, while merging this with horizontal stripes will work to add overall bulk and width. 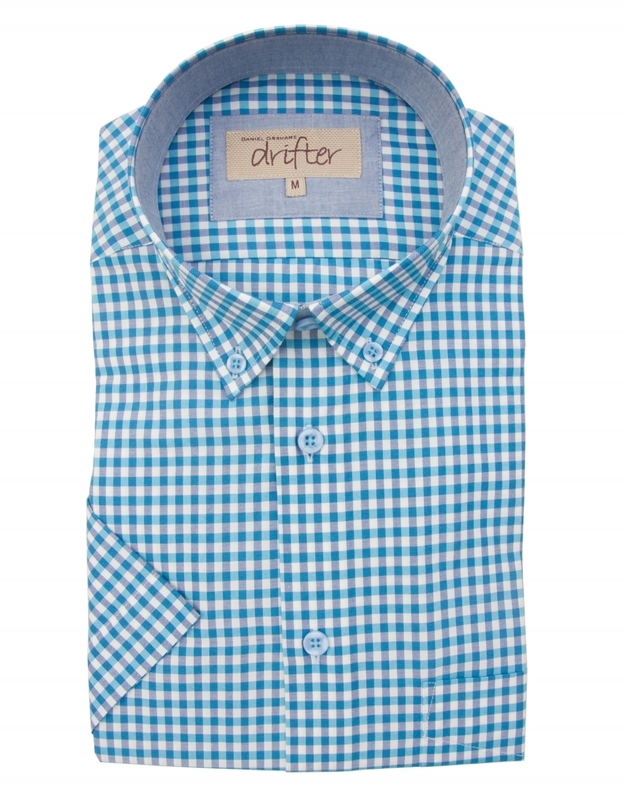 Interestingly, gingham patterns and micro checks, like these Daniel Grahame shirts, also work to create a bulkier frame. When dressing for a slender body, fasten your shirt all the way up to accentuate your shoulders and don’t leave a few buttons open (this will emphasise a thin neck). Making sure your shoulder seam isn’t hanging over the top of your arm is particularly crucial for a skinny bloke, as this has the potential to make your shirt look oversized which gives onlookers the impression that your physique isn’t big enough to fill out your clothes. Blazer with light padding in the shoulders to accentuate your chest and upper torso for a masculine frame. Regular-fit, straight leg jeans (not skinny) to add the illusion of more muscular legs. Two-piece or three-piece suits, as dressing in layers (i.e. waistcoat and jacket) will add bulk and depth to your body. 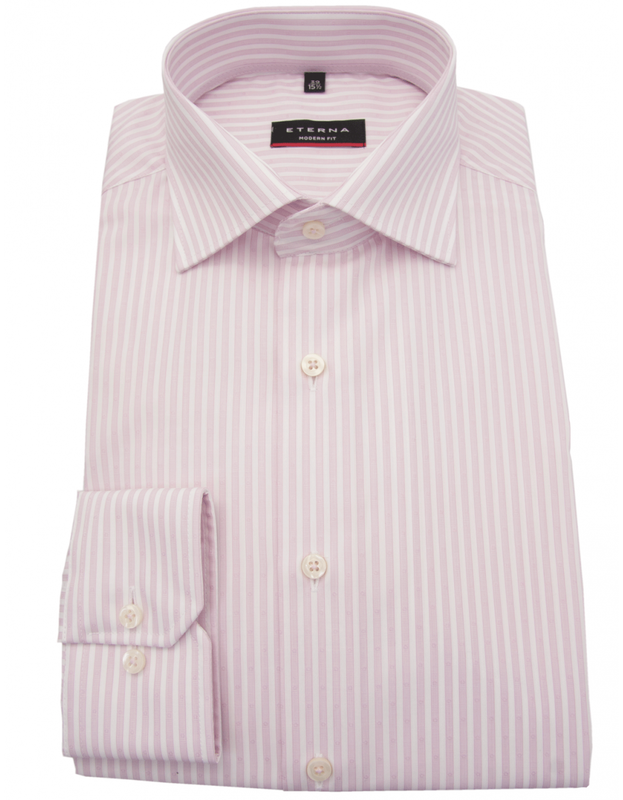 If you’re looking to add height, going for men’s shirts with a pinstripe/vertical stripe pattern is a successful tried-and-tested tactic to make you appear taller and more confident. 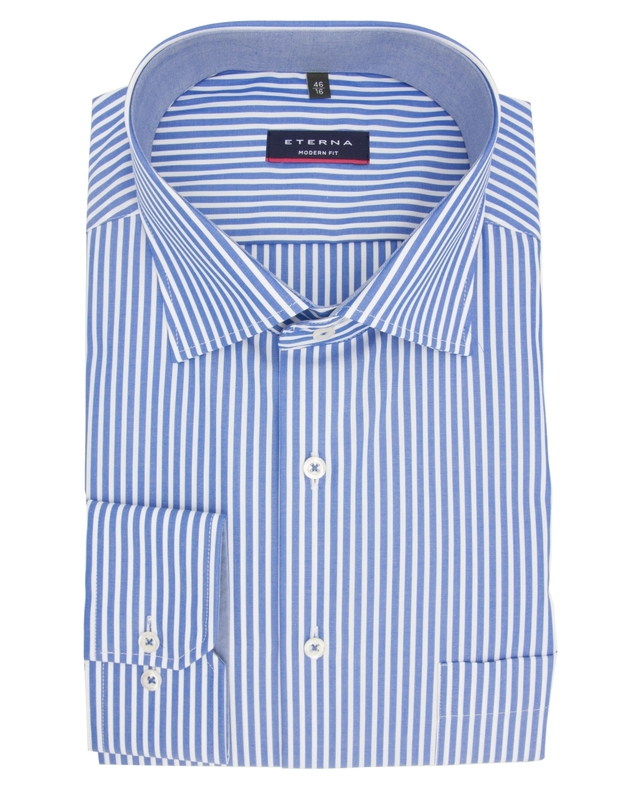 Choose a slim-fit striped design — similar to these Eterna shirts — to give your frame a longer, streamlined look, and avoid a spread collar that accentuates width over height. Instead, button up your shirt all the way. 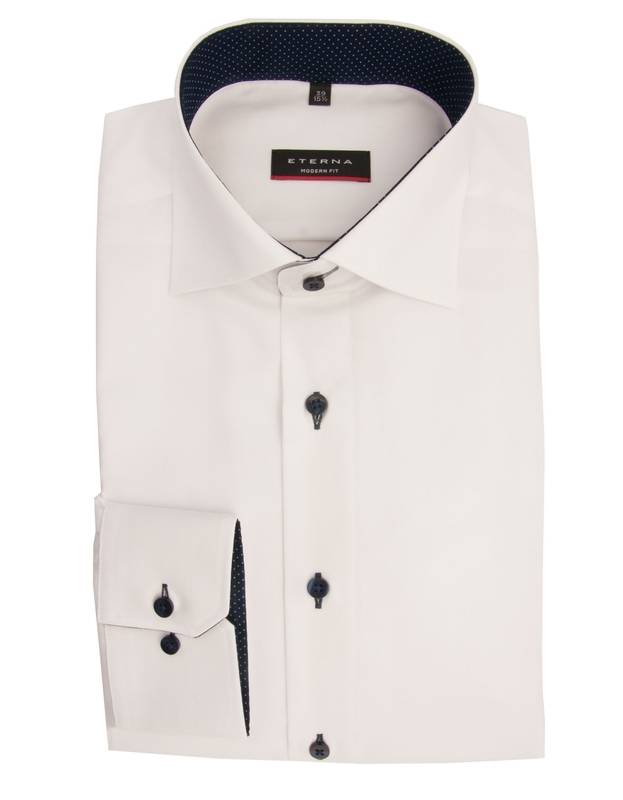 Whether you’re wearing a casual or formal shirt, make sure it has plenty of length and don’t let it hang loosely. Tucking your shirt into your trousers will accentuate your legs and add the illusion of height, but letting it cover the tops of your legs will only make your lower body look shorter. A quick tip if you’re going for a casual shirt and feel the sleeves are too long: simply roll them up to just below the elbow — a great way to get out of overhanging cuffs. Pinstripe suit and pointed footwear, like Oxford shoes, to add body length. Avoid turned up trousers that visually cut off your legs. Wear accessories on your upper body to draw people’s eyes up for height illusion, such as: ties, glasses and pocket squares. Tall blokes can have a hard time buying men’s shirts. 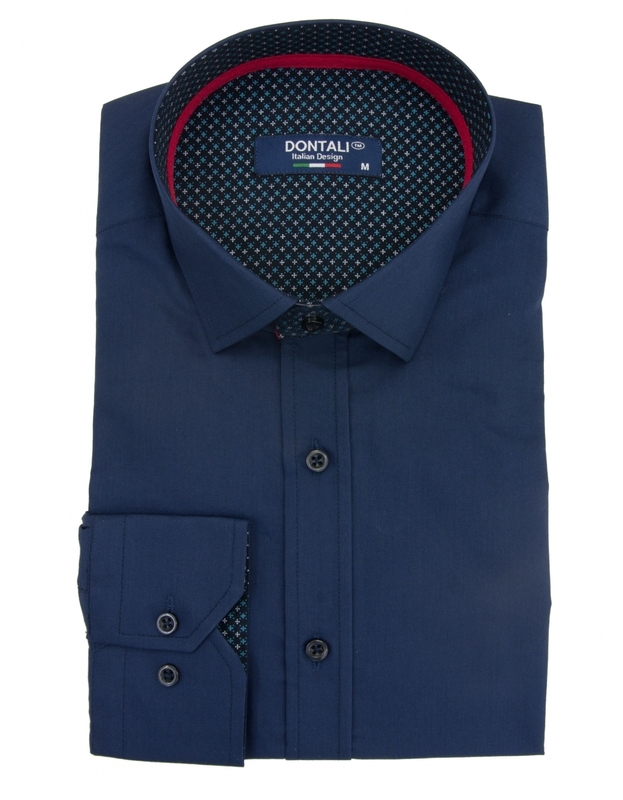 To help, we suggest opting for slim-fit over regular-fit, like these Dontali shirts. Wearing a shirt that’s too loose and baggy will make your long frame and limbs appear disproportionate and clumsy, which is definitely not what you want. Avoid skinny-fits at all costs, if you want to dodge the lanky look, and make sure your shirt is long enough to tuck into your trousers — anything less will make you like a big kid who hasn’t updated his wardrobe. 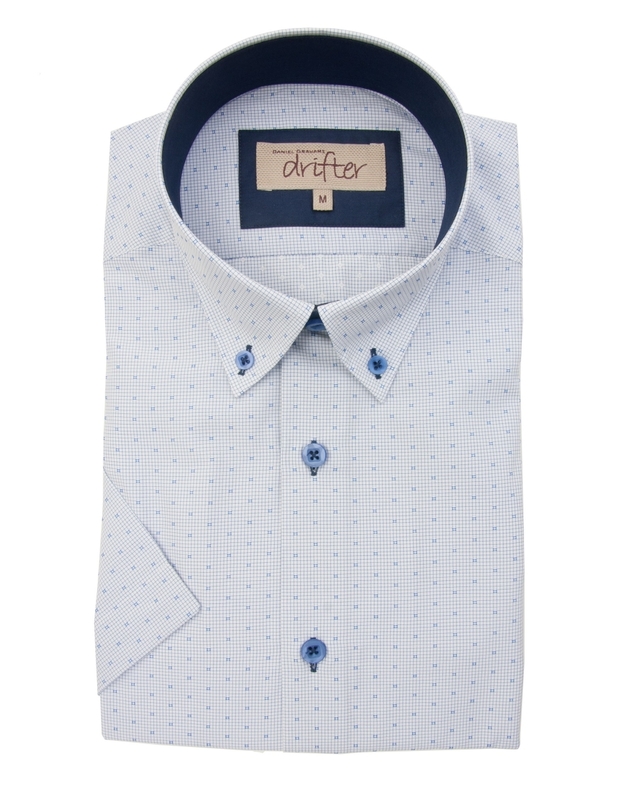 Contrary to the shorter guy’s ideal shirt, go for a spread collar to try and add width for a nice balance. Lucky for you, tall blokes can pull off horizontal stripes like most other body builds can’t, so make the most of it to really stand out from the crowd. Horizontal stripes can make men look wide and short, but if you’re tall this isn’t an issue. 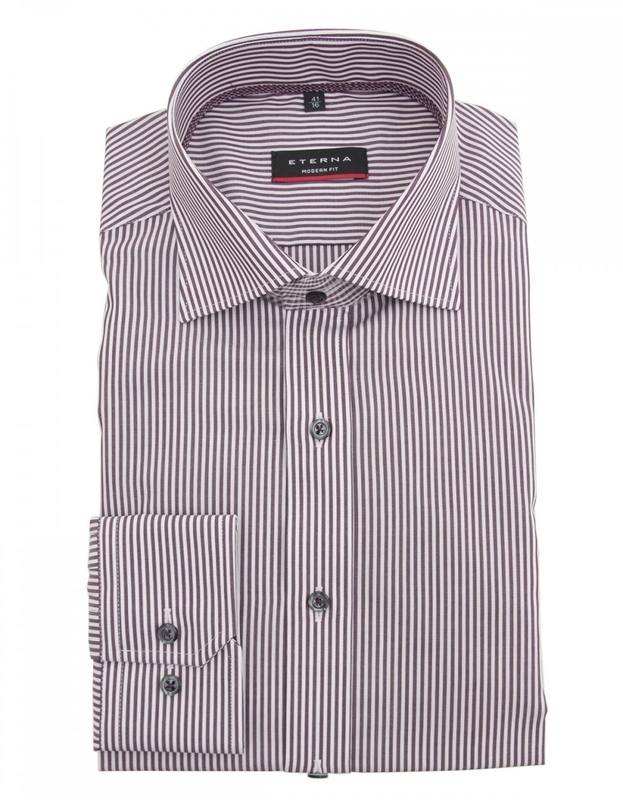 In fact, choosing a casual or formal shirt with horizontal stripes can help break the vertical line of your body, which is especially good if you have a very tall but lean frame that you want to widen. Knee-length coats and double-breasted jackets are particularly flattering on tall men and have a refined, formal appeal when worn over a formal shirt. Mid or low-rise jeans look best with a casual shirt on a tall guy. Just remember to avoid high-waist trousers. 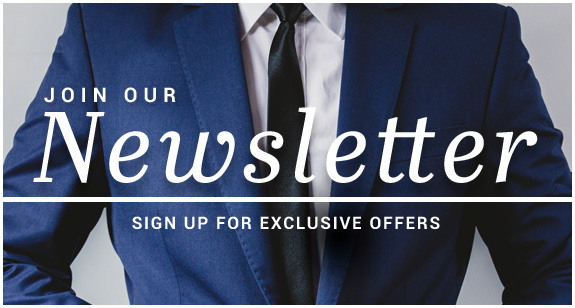 Head back to our main site for more men’s accessories, formalwear and shoes to complement your shirt.